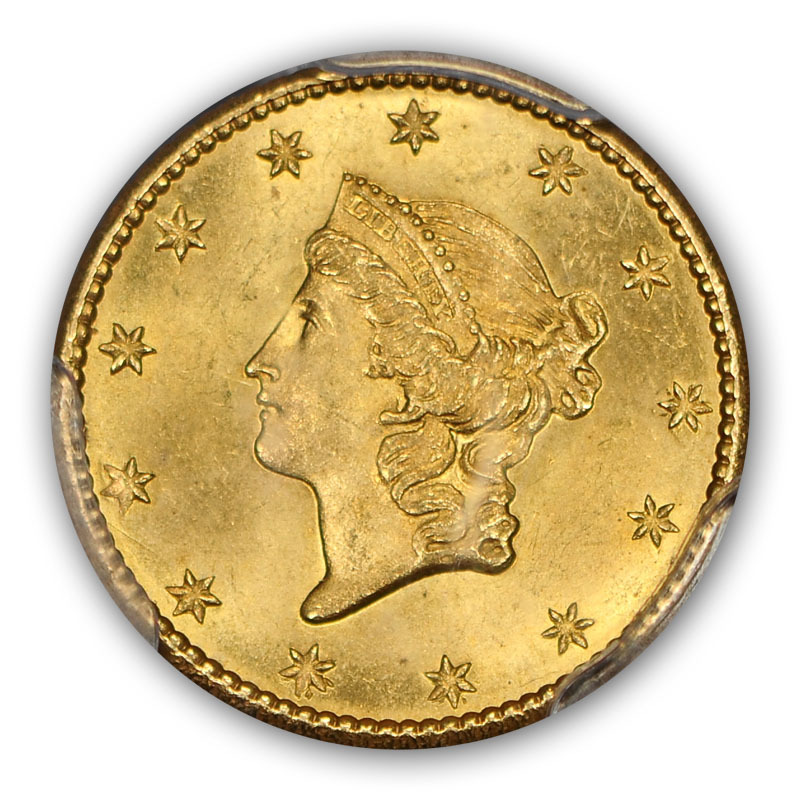 Three of the stars display repunching; identifiers for the No L variety. 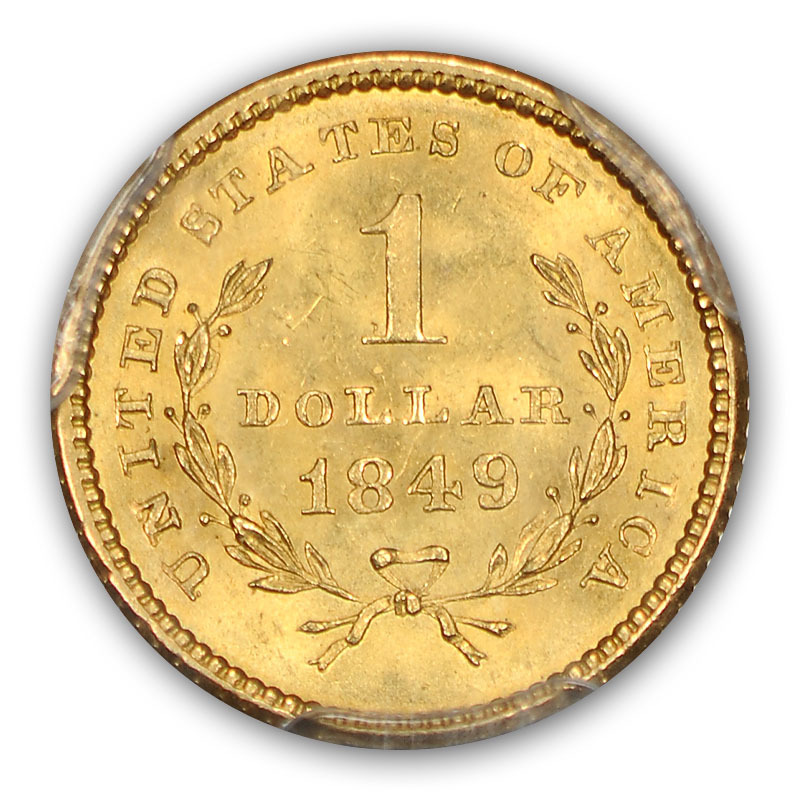 The 1849 is the first date of the gold dollar denomination; excluding patterns which date back to 1836. 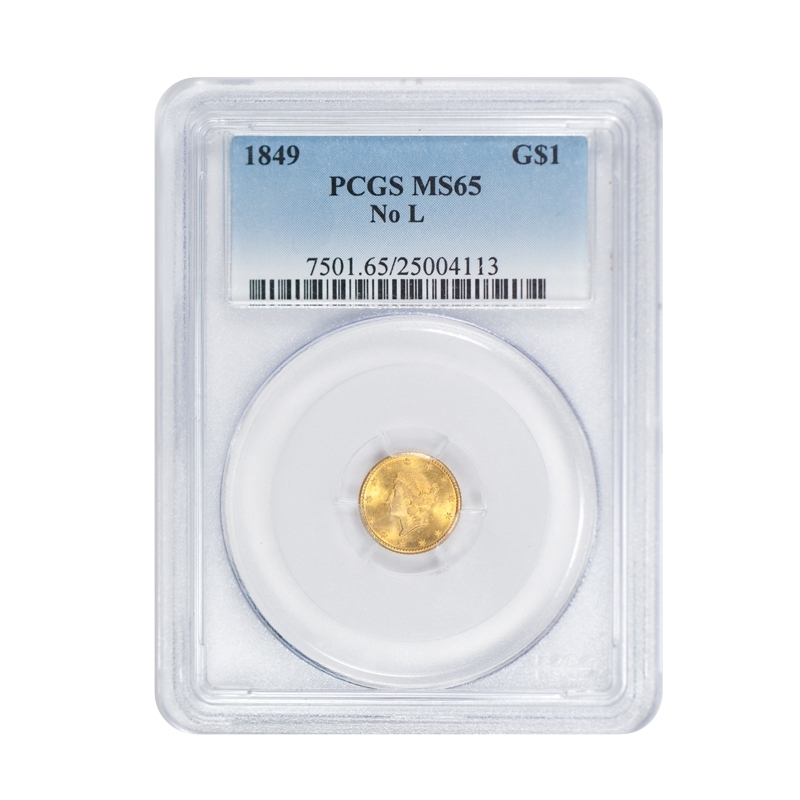 This piece is a well-preserved and intricately struck Gem. 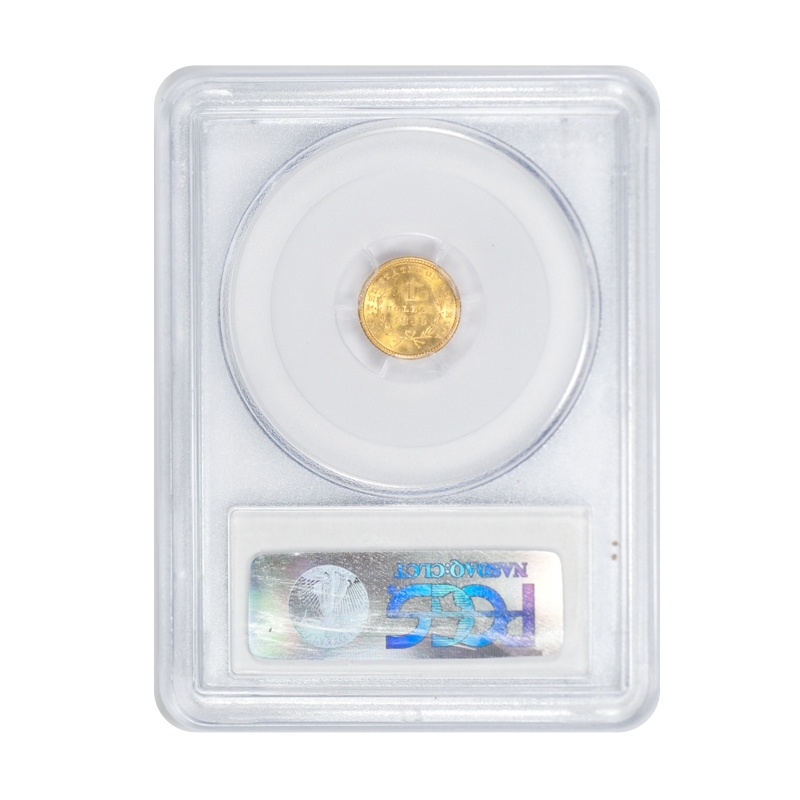 PCGS has only graded a dozen finer.